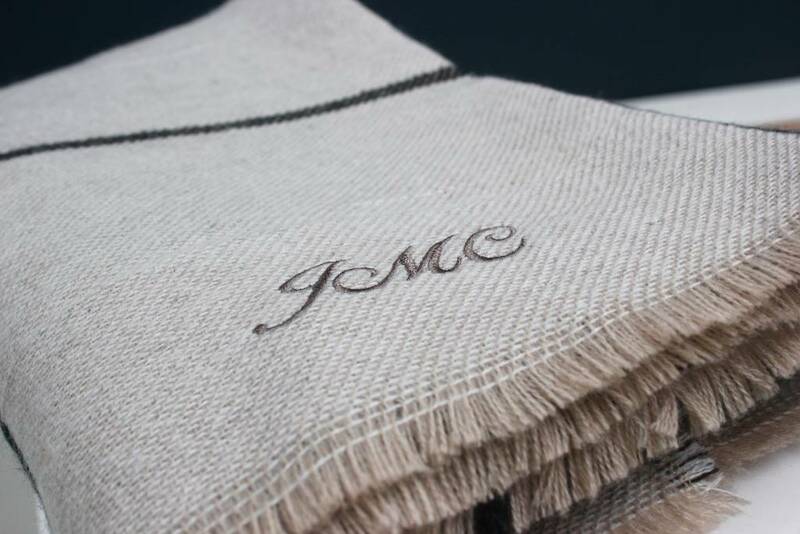 if you have paid to add embroidery, what name or initials would you like added? 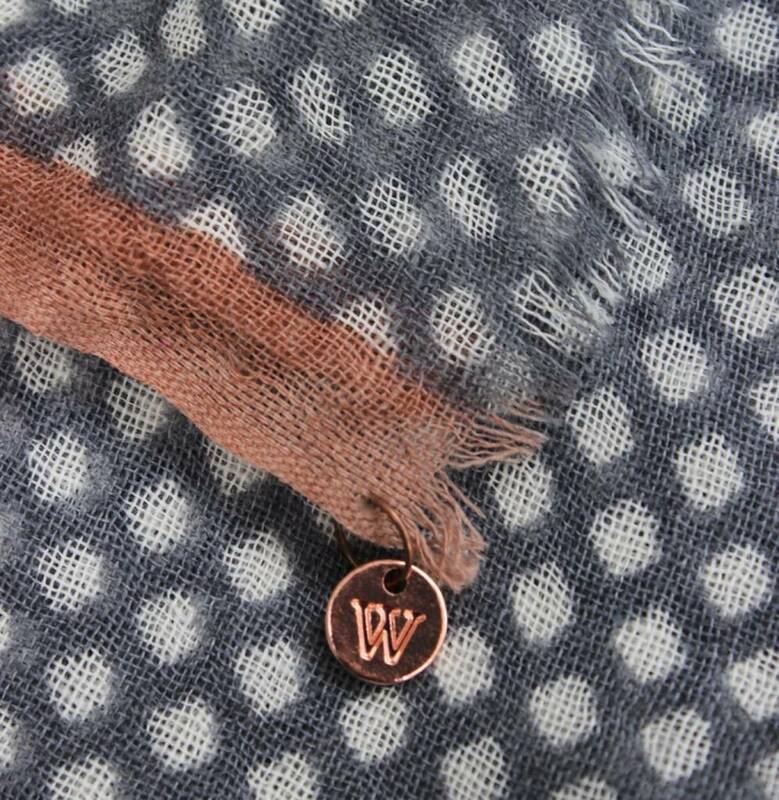 if you have chosen and paid for a letter charm, which letter would you like to add? 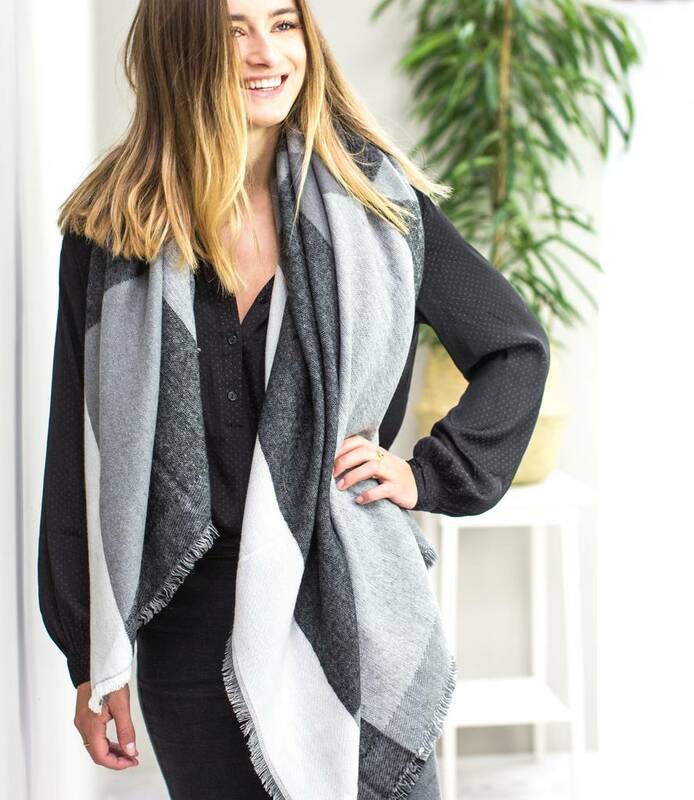 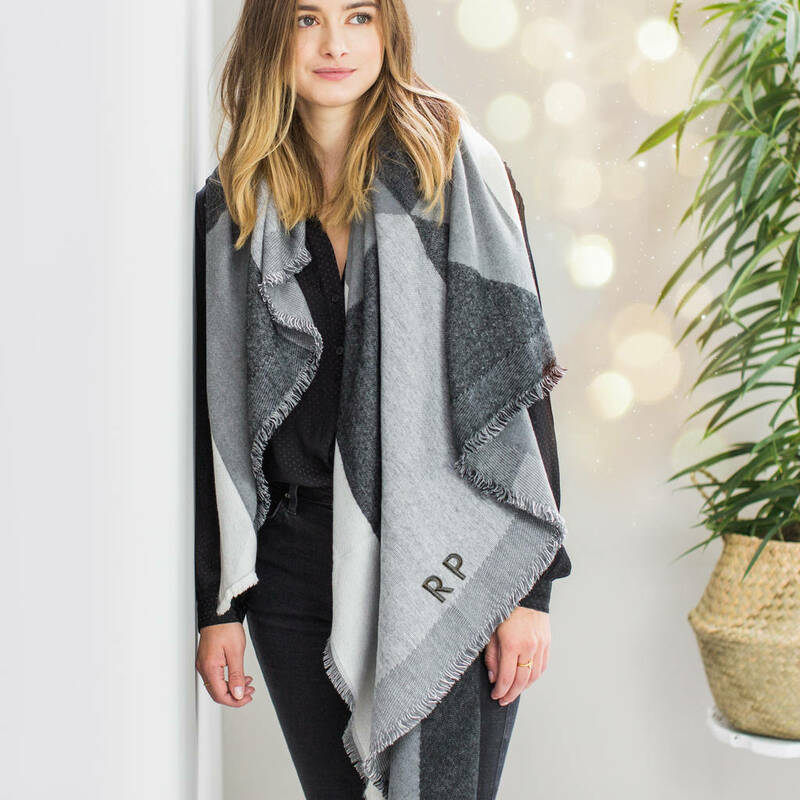 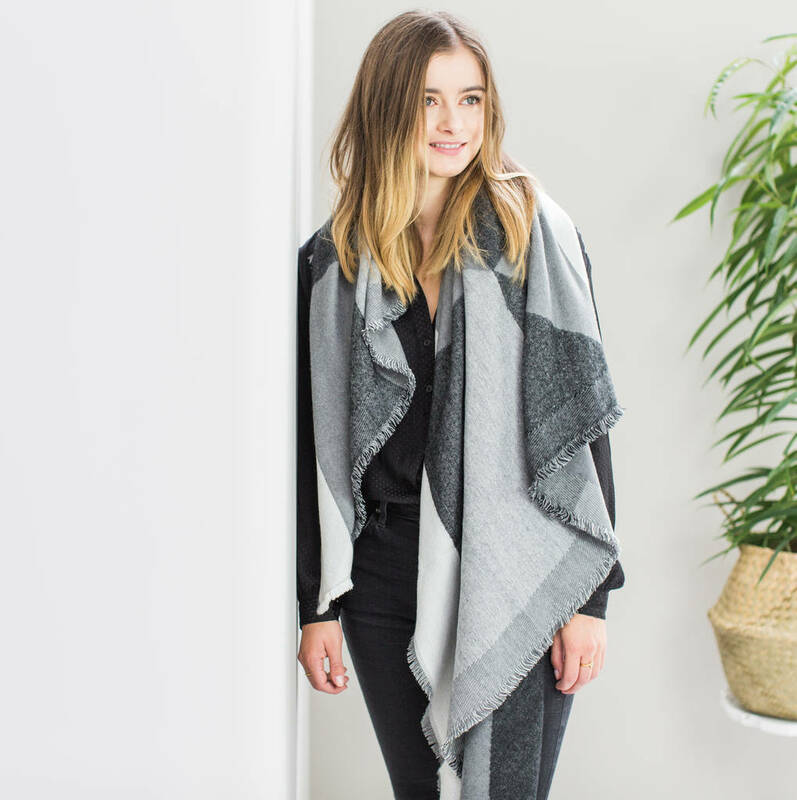 This is a gorgeous, soft winter scarf with a large colour black design in soft grey and stone.